Having established themselves as a leading force in releasing overlooked British films, Odeon Entertainment have expanded their portfolio with a series entitled ‘The Hollywood Studio Collection’ which focuses on the output of RKO, perhaps THE forgotten studio. RKO (Radio-Keith-Orpheum) was formed back in 1929, a time when the other “Majors” were struggling with the onset of sound film production. The first true RKO film was Wesley Ruggles’ Street Girl (1929), whilst the heyday of the studio was arguably the 1930s-1940s which saw King Kong, a hugely successful group of Astaire/Rogers musicals and Citizen Kane being produced. As the Paramount Decrees forced studios to sell off their movie theatres in the late 1940s, RKO needed a sure guiding hand, someone who would steer it through turbulent times. Instead, maverick Howard Hughes took over, and it was no real surprise when RKO was dissolved in the late 1950s. Androcles and the Lion (1952)- starring Victor Mature, Jean Simmons, Alan Young and Robert Newton. 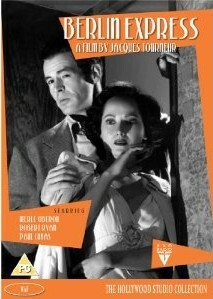 Berlin Express (1948)- starring Robert Ryan and Merle Oberon, and directed by the great Jacques Tourneur. Double Dynamite (1951)- starring Groucho Marx, Frank Sinatra and Jane Russell. 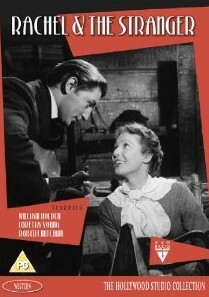 Rachel and the Stranger (1948)- starring Loretta Young, William Holden and Robert Mitchum. The print quality of each film is excellent, with monochrome hues sharp and devoid of distracting damage. Most importantly, these titles look to have been mastered from the original source materials (as opposed to some budget releases which are clearly mastered from 16mm prints of the films concerned, meaning a lesser quality product). The cast in each case, together with the previously limited availability of these titles, should mean that these new releases are ‘must buys’ for fans of classic Hollywood cinema. With each batch of releases I will select one film for a more detailed dissection- and the honour this time goes to Double Dynamite . You can read this review here. All titles are available from the end of September 2010 from Odeon Entertainment.